First flown on May 27, 1970, the Boeing Vertol 347 was a CH-47A modified for research with wings, four-blade rotors, retractable u/c, and fly-by-wire controls. The aft was pylon taller. 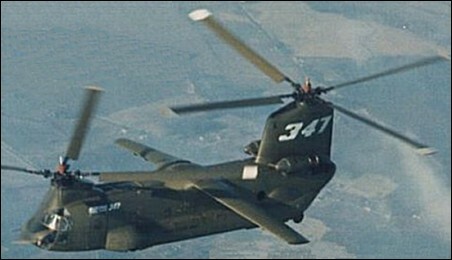 The CH-47A was Boeing c/n 164 / US Army Serial number 65-7992.